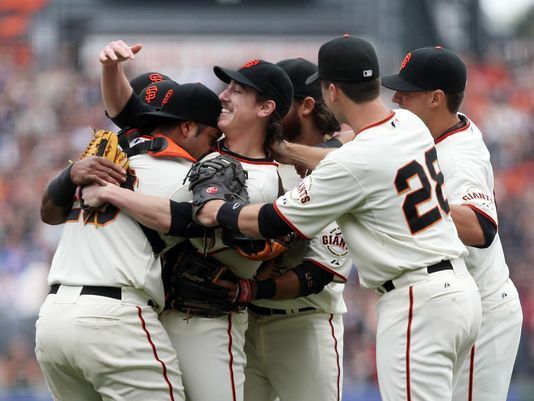 If you missed it, I covered the San Francisco Giants regular season in Part 1. Time for the good stuff. As I mentioned yesterday, there are no ground rules for this list and everything is listed in chronological order. Moments can stick out for different reasons. The rough draft was literally me sitting on my front porch drinking coffee and just thinking about the playoffs. I really miss baseball. At least 10 different things jumped out at me. For instance, I thought the Hunter Pence homer in Game 1 of the World Series was a huge moment. Then as I kept adding things to the list it got bumped down. So it gets an honorable mention. Others that just missed the cut were Hunter Strickland striking out Ian Desmond in Game 1 of the NLDS and Randy Choate throwing it away in Game 3 of the NLCS. After some more beard scratching and coffee drinking on the front porch, here’s my 7 best moments of the Giants 2014 championship run. 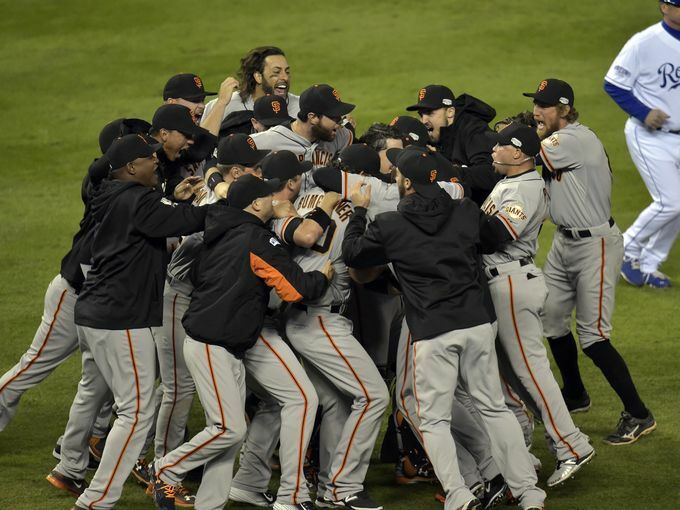 As a San Francisco Giants fan, 2014 was a great freaking year. They won the World Series for the 3rd time in 5 years and cemented a dynasty in the modern game. There was a fast start to the season, a rut in the middle, and then a Fall surge to the title. We got to watch it all. Whether you saw them in Scottsdale, spent time on the shores of McCovey Cove, or just watched from the couch at home, all Giants fans will remember this past year as something special. Here’s where I get to be corny. I’m going with the original idea of the 14 best moments from 2014. I know, I had to stretch far for that one. Someone else may have already beaten me to it, I don’t care. I want to relive what happened and I suspect you’ll enjoy reliving it too. I have no ground rules for this list. A moment can be anything I want to shoehorn in just for the fun of it. It was just that kind of crazy, wonderful year. This will be split in to 2 parts. Today will be the regular season, Tuesday will be the playoffs. Everything will be in chronological order. All clips courtesy MLB and /or Youtube. Click here for Part 2: The Posteseason. The Giants wasted no time making the 2014 season exciting. Right away the team put together a comeback victory. After falling behind 6-2 and 7-3 to Arizona they put together a couple of rallys and started the year on a positive note. You didn’t want to look too much in to one game, but it felt like this team knew how to win right out of the gate. You can download the podcast here, or stream it below! It’s been a month since we recorded our gloriously long World Series Championship podcast, but our livers and tear glands have recovered enough to deliver our first “hot stove” podcast of the offseason. Chad, Ben, and Eric talk about the impending Lester decision (probably made by the time you listen to this), and the Giants options to fill their holes in left field and third base. Tim Flannery retired, and Madison Bumgarner won Sports Illustrated’s “Sportsman of the Year,” which apparently ripped off the fresh collective scabs of millions of KC Royals fans. You can follow us on Twitter @TortureCast and like us on Facebook! All of our podcasts and video and audio San Francisco Giants player interviews can be found here at TortureCast.com.